The nu-schroth method uses the concepts I learned from the original Schroth method, but the concepts are applied with a 21st century take on rehabilitation. Lets face it, we’ve learned a tremendous amount since 1920, especially in the field or rehabilitation and the brain. The Nu-Schroth method uses contemporary rehabilitation methods like the Bosu ball, TRX training straps, HRV monitoring and vestibular rehabilitation. We teach the method in groups just the way Katarina Schroth did, and we modify activities of daily living the way Katarina Schroth did. 1. The Nu-Schroth scoliosis method is taught so patients and families can do the exercises at home without needing to visit a therapists office daily. Exercises are broken down into Neurologic and Orthograde. Gait analysis is used as biofeedback to re-educate the gait of persons individually. 2. The Nu-Schroth scoliosis method uses Raster Stereography (a harmless imaging system) to monitor postural change, reducing the amount of harmful radiation exposure. 3. Nu-Schroth scoliosis method includes Chiropractic Neurology and manual therapy techniques which have been shown to improve the efficacy of exercises and postural restoration. 5. Nu-Schroth scoliosis method does their exercises to fatigue, then layers on complications to maximize results. 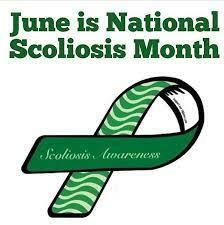 To learn more contact me directly at 1-800-281-5010 or visit scoliosissystems.com. This entry was posted in News, Schroth Exercises and tagged Nu-scrhroth method, schroth method, scoliosis exercises on December 1, 2014 by Marc Lamantia D.C.. In photo: Dr. Gary Deutchman, Dr. Marc Lamantia, Dr. Raymond Damadian with patient. MRI is not new, however Fonar Inc. has recently released their Scoliosis Coil, a modification which makes MRI useful in the measurement of Cobb Angles. This entry was posted in MRI News on February 28, 2014 by strong-admin. I would like to introduce you to information on our new scoliosis coil and screening/follow-up imaging application. The scoliosis application uses a multi-channel, phased array, 80 cm, planar RF coil. This coil allows imaging of the entire spine (c-1 to s-1) in the standing upright position or seated upright position. The scoliosis application allows for screening and follow-up of the patient without exposure to ionizing radiation. The entire study can be completed in 10 minutes or less resulting in economic feasibility for MRI. The multi planar MRI results provide additional information, not available from current P-A and lateral flat plane x-rays. with severe cases of spinal abnormalities. Fonar welcomes any suggestions or insight that would aid in the development of spinal abnormalities applications. The scoliosis application is the newest advance in Upright imaging. The Fonar Upright Multiposition MRIbrings to orthopedic practice high resolution applications that no recumbent MRI can perform. Upright MRI imaging is available in our New York City and San Jose CA, offices. MELVILLE, NEW YORK, November 26, 2007 – FONAR Corporation (NASDAQ-FONR), The Inventor of MR Scanning™, announced today at the 93rd meeting of the Radiological Society of North America (RSNA) in Chicago a groundbreaking invention in the diagnosis and monitoring of scoliosis. The patent-pending breakthrough utilizes new software and a new receiver coil developed for the unique FONAR UPRIGHT® Multi-Position™ MRI. The dramatic result is a single picture of the entire spine in the upright position (SEE PHOTO). Current medical practice consists of ordering baseline X-rays for suspicious physical findings in children. (http://jaapa.com/issues/j20030901/articles/scoliosis.html). With X-ray, a scoliosis patient has a PA (posterior-anterior) and lateral radiograph two or three times a year. To reduce exposure to radiation, the patient is usually scanned with her back to the source of the X-ray. The FONAR images provide coronal, sagittal and axial views of the entire spine – with no radiation. The 3-plane visualizations are achieved by 3-D acquisition with curved multi-planar reconstruction. Both the Cobb angles and the angular rotation of the vertebrae are measured. The FONAR UPRIGHT® MRI has another important advantage over X-ray. It sees, not only the curvature of the vertebrae, but the soft tissue, including the spinal cord, intervertebral discs, nerve roots and spinal ligaments. FONAR plans to advertise its groundbreaking radiation-free scoliosis application in major medical magazines. To see the advertisement visit: http://www.fonar.com/news/pdf/scoliosis_ad.pdf. As many as 60,000 people attend the Annual Meeting of The Radiological Society of North America. FONAR can be visited at booth 7753 in the South Hall at McCormick Place, Chicago, Illinois.